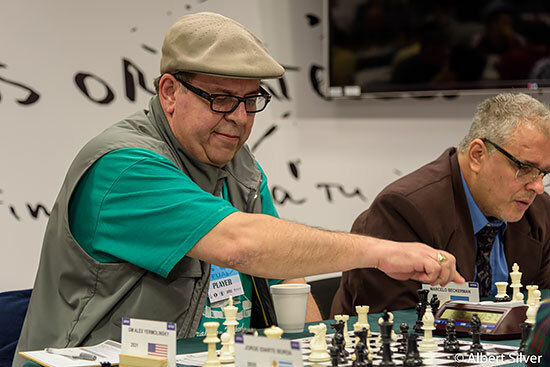 Like it or not, there have been an inordinate number of 'grandmaster draws', and four games ended in 23 moves or less, with most of the pieces still on the board. One could hardly blame the great Hou Yifan for seeking out to hold the point, since she was already dead lost more than once. Still..... 7 draw out of 7 games. ... Maxime Vachier Lagrave maintain their half-point lead. If you enjoyed Yermolinsky's analysis, be sure to check out the next issue of ChessBase Magazine where a more in-depth version of his analysis will appear. Hou Yifan is seeded 17th by rating, but is tied for 12th place, seems odd to call her out for having too many draws. She's playing well and gaining rating points. Especially odd when Giri draws against lower rated players and gets only friendly, playful comments from chessbase authors. Chessbase should apologize for their double-standard.